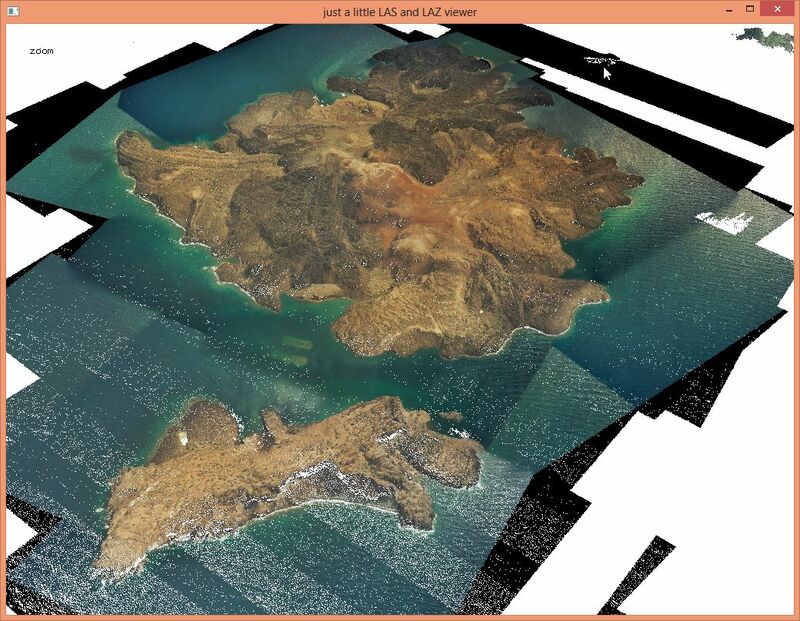 is a tool that reads LIDAR points and colors them using an ortho image provided in TIF format. The output is a standard LAS or a compressed LAZ file where each points has an RGB color sampled from the ortho photo. Instead of LiDAR points the tool – like all LAStools – can also read rasters from ASC/BIL/DTM format that are then on-the-fly converted to pseudo LiDAR points. For more details and options not mentioned here see the README file.